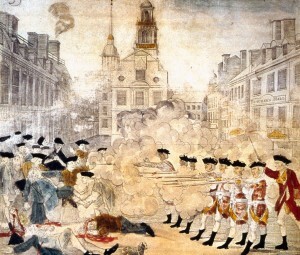 As it turns out, this depiction which ran in major press at the time was completely inaccurate, and served to enflame the passions of colonists whose true outrage about the injustices of the British tax regime were squarely focused on the actions of a few British infantrymen who had fired into a rowdy crowd on that fateful night. The colonists’ anger was not wrong, and it would later by catalyzed on a grander scale into a full-on revolution against the British Crown. But when John Adams defended the soldiers against charges of murder, he was not appointed to be a defender of the colonial system. His job, despite being a colonial sympathizer himself, was to defend the action of the officers in this one case. His job was to convince a jury to look at only the facts, and to adjudicate based on the evidence and not on the politics of the moment. In a surprise decision, the jury found the soldiers not guilty. It is worth noting that several months had passed between the events of the shooting and the trial, which probably served to calm the passions of the court in reaching a fairer verdict on the case. In Ferguson, the historical parallels to Boston are hard to ignore. An officer of the law, acting in what he claims was self defense, shot and killed a young man under circumstances clouded by politics, passion and widespread injustice. It is a national tragedy, as it should be when an American citizen is killed by an officer sworn to protect and defend him. There is a simmering and rightful hatred of the police for widespread injustice against black Americans and other minorities, shared by white Americans (including myself). There is a widespread distrust of police and federal agents for abusing their power in general, for stretching the limits of the law and outright breaking it, shared by many Americans (including myself). There is no doubt that the shooting of Michael Brown was an avoidable tragedy, and the chain of events leading up to his untimely death was started long before Darren Wilson went on patrol that day. For black Americans, Ferguson is only one chapter in a long history of police violence against them, and the media attention focused on Ferguson is a rare spotlight on the injustices they face every single day in cities and towns across America. Such a case demanded swift action, yet today that action happened in the form of a no true bill delivered by the grand jury. No one knows what happened that day, except for the officer himself. The tapes and transcripts that have come out about the grand jury have revealed a cacophony of contradictory eye-witness testimony (and we know about the unreliability of eye-witness testimony especially when influenced by the media) and physical evidence that more or less supports Darren Wilson’s self-defense claim, but doesn’t necessarily support his justification of deadly force. In this case, the grand jury seems to have caught the responsibility that would normally be reserved for a trial jury: to review all the available evidence and return a judgment. (In a grand jury proceeding, 9 out of 12 men and women needed to vote for an indictment on a charge, whereas in a criminal trial, all 12 out of 12 jurors need to vote for conviction.) Ultimately, in our innocent-until-proven-guilty justice system, more than 1/3 of the grand jury that heard the case wasn’t convinced that even probable cause existed to bring charges against Darren Wilson, even without the defense presenting its own case. Personally, I would have preferred an indictment so a proper trial could have been conducted, but given that the bar for the indictment was even lower than that for conviction, it seems fair to say that Darren Wilson will never be seriously punished for killing Michael Brown. It’s really hard to accept this, because I don’t believe it’s right for someone to get away with killing someone else, except in the most clear-cut cases of self defense. Moreover, it is hard to watch the due process afforded to Darren Wilson unfold, when Michael Brown received no such treatment under the law. Something is clearly broken in our justice system when an unarmed teenager can be shot and killed by the police in the first place. Darren Wilson himself is only an agent of a larger justice system which incentivizes stop-and-frisk tactics contrary to the Fourth Amendment, racial profiling contrary to the Fourteenth Amendment, and shoot-to-kill policing contrary to the Fifth Amendment. As far as I am concerned, the entire police state should be on trial because, as I wrote in that post about Ferguson a couple weeks ago, the police have been mobilized beyond their actual necessity and even their mandate. But the fact that no indictment was returned against Darren Wilson, despite media and popular pressure to do so, and despite the overwhelming tendency of grand juries to return indictments, should tell us something. I’m not saying that I’m not angry about the police brutality that led to the death of Michael Brown, and the system writ large. I am vocally discontent with the police state and have expressed my frustrations about it in much of my public and private writings (and this coming from the perspective of someone who is not a target of the police state). I am only asking myself if I am fairly separating my passions and prejudice about the justice system from the facts of this individual case. The grand jury, as with the history of the Boston Massacre, has given me pause about jumping to conclusions before their time. Only Darren Wilson knows whether he is guilty of a heinous act beyond simple self-defense–and if I may confess, I believe he probably is–but our justice system is not, and should not, be built on innuendo and prejudice. It is built to withstand the skewing effects of anger and revenge. We should not imprison people for politics or to satiate primal desires. The time will come to have our new American revolution founded on constitutional principles that this country has lost, but it is not today. Darren Wilson’s due process is a sobering reminder of what our justice system is capable of. Michael Brown’s tragic death is a chilling reminder of how far our justice system needs to go. Edit: 14 hours after I posted this, I see that (overwhelmingly peaceful) protests have erupted all over the country in response to the grand jury decision. I really do hope that these protests, and the spotlight on police violence, lead to meaningful change in how America polices its police. Maybe Ferguson will be the catalyst of true reform. We can only hope. Edit #2: Several months later the Justice Department report is out on Ferguson, and Ta-Nehisi Coates has an excellent piece about how much justice has failed Ferguson (and of course, many other towns and cities across America), despite Darren Wilson’s innocence. He concludes: “the focus on the deeds of alleged individual perpetrators, on perceived bad actors, obscures the broad systemic corruption which is really at the root. Darren Wilson is not the first gang member to be publicly accused of a crime he did not commit. But Darren Wilson was given the kind of due process that those of us who are often presumed to be gang members rarely enjoy. I do not favor lowering the standard of justice offered Officer Wilson. I favor raising the standard of justice offered to the rest of us.” I wish I had his eloquence!